This is our main office where we also offer obstetrical and gynecological ultrasounds, fetal monitoring, and minor office procedures including Endosee hysteroscopy and MonaLisa Laser Touch Therapy. Our medical office building provides convenient access to other physician specialists including family practice, internal medicine/nephrology, podiatry, and dermatology. 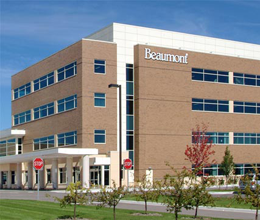 Beaumont radiology, physical therapy and lab services are also available. Rochester Hills Pharmacy provides personalized service and compounding is also available. We are in the Beaumont Medical Office Building at the southwest corner of Rochester Road and Orion Road in Rochester Hills - near Papa Joe's Gourmet Market. 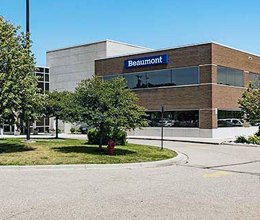 For the convenience of our patients, we also have a satellite office location at the Beaumont Medical Center - Macomb, on the northeast corner of Tilch Road and Hall Road in Macomb Township - approximately one mile east of Lakeside Mall. 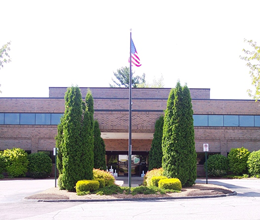 For the added convenience of our patients, we have a second satellite location at the Beaumont Medical Center - Lake Orion, on Lapeer Road, approximately one mile north of Lake Orion High School. 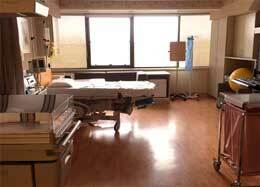 The Mother-Baby unit at Beaumont Hospital-Troy includes private rooms and a Neonatal Intensive Care Unit. The Physicians at Paint Creek are affiliated with William Beaumont Hospitals and perform surgeries and deliver patients almost exclusively at Beaumont Hospital-Troy.